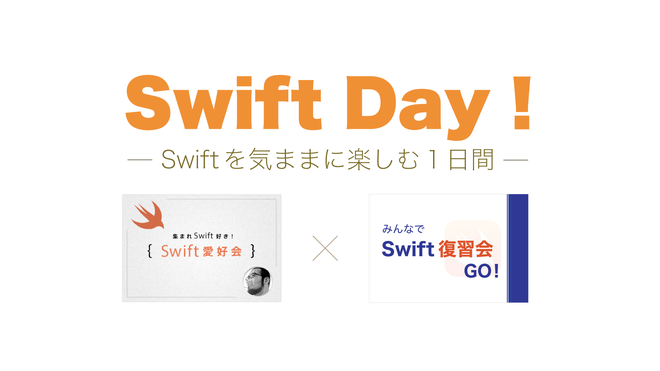 10:00 ～ 12:30 《午前の部》みんなで Swift 復習会 GO! 熊谷友宏 (@es_kumagai) published Swift Day ! @ 岩手 — Swift 愛好会 ＆ Swift 復習会. I joined Swift Day ! @ 岩手 — Swift 愛好会 ＆ Swift 復習会!